“Wyn, come and take a look at this,” The Doctor said. Wyn didn’t answer. She was sitting on the sofa in the corner of the console room playing her electric guitar with her headphones on, a courtesy to him that he appreciated since she was still quite new to the instrument and it could get a bit excruciating at times. He grinned and patched the communications through to her headphones. He listened for a moment. She was getting there. That was a passable Stairway to Heaven middle eight. “Wyn, come take a look at this,” he said again and she looked up at him in surprise, but she put down the guitar and took off the headphones and came across to the console. “Read on,” he said as he programmed the TARDIS co-ordinates. “You believe it’s real?” Wyn looked at him. She knew it was easy to design a website. Anyone could do it. She had been doing it since she was ten. The costs of maintaining it were tiny if you were going to make £3,000,000 out of it. But The Doctor, who was no fool, as she well knew, seemed to think it was more than just a con. Or a more elaborate one than just getting foolish people to click the Paypal symbol at the bottom of the page and put their money down. Wyn did. The webpage dissolved and a white screen presented itself. She waited, and the white slowly resolved again into a webpage. There was no fancy html this time, just two lines of plain text in the top left corner. A map reference. “But what if we end up on another planet with no way home?” Wyn protested. The Doctor grinned widely as he set the co-ordinates. That co-ordinate turned out to be by a country roadside up against a high stone wall overhung with trees. The Doctor nodded as if he approved of the location and set off just like he was going for a brisk walk. “The grass is always greener on the other side,” The Doctor said as if that explained it. Their walk was at an end, anyway. They came to a gate inset into the wall - a wrought iron affair with stone thistle motifs either side. Above the wall by the side of the gate was a wooden sign. The Doctor looked at it appraisingly. “Too late, we’ve paid our fare.” He went to the gate communications grill and pressed the button. A few moments later a polite but brisk voice asked him to state his business. “We’re passengers,” The Doctor said. “Ref. No. 456e367 and 763u445.” There was a pause and with his enhanced Gallifreyan hearing he could detect keys being pressed as their bookings were verified. “Welcome,” the voice said and the gates swung open. As they walked up the driveway Wyn suddenly reached for The Doctor’s hand. He looked at her and smiled gently. “If it is, then what’s THAT?” They had emerged from the tree-lined avenue to the front of a rather grand Georgian country house, the sort of house that would be expected at the end of such a driveway, behind such gates - the sort that would be a country hotel and restaurant or a health spa. But hotels and spas rarely had space shuttles parked on the gravel. “Vertical take-off,” The Doctor observed. “Very nice. Saves building a runway.” And that was all he said. Wyn laughed inwardly. His studied disinterest in what she thought was an amazing looking spaceship was amusing. But, of course, he owned the most amazing spaceship in the universe. Why would he be impressed by anything man-made? Wyn didn’t say anything. She really wasn’t sure about Bannerman. He had thin lips and when he smiled with his mouth he didn’t smile with his eyes. She just didn’t like the look of him at all. Bannerman left them. The Doctor told Wyn to mingle and went to mingle himself. Wyn headed for the buffet. It looked nice and she was kind of hungry. Wyn looked around and saw that she was right then fixed on the girl. She was Asian, about her own height, but gracefully slim and pretty. She smiled prettily, too. Wyn felt jealous as she always did when she saw people who ate just as much as she did but could wear size ten clothes. “I’m Jasmin,” the girl said. “It means white flower,” she said, though she wasn’t sure why she said it. She had NEVER felt like a flower. She thought of Rose. SHE looked like a flower. She was pretty and could wear any kind of clothes and The Doctor was nuts about her. Nobody was nuts about Blodwyn. “Jasmin is a flower, too,” the girl said. “We have something in common.” And that seemed to exhaust the small talk. Wyn looked around for The Doctor. He was standing with a small group of adults with a teacup and a biscuit. He saw her and waved and smiled. She waved back. “Is he your boyfriend?” Jasmin asked. “I’m with my boyfriend,” Jasmin said. “Alec. That’s him, there.” She pointed to a tall, good looking youth with sandy-blonde hair and green eyes, dressed in a casual sweater and slacks. He looked, Wyn thought, like the boy you could take home to your mother. It didn’t really sound any less tactless than what she had been going to say. “How do your parents feel about that then?” she asked. She talked to Jasmin for a little while longer then made her excuses and went to talk to The Doctor. She told him about Jasmin and her boyfriend first. “Eloping? How Romantic,” he said. Wyn blushed and treated The Doctor to one of her best scowls. Some of their questions were answered in the ‘orientation’ lecture that they were ushered into. Wyn dragged The Doctor to seats next to her new friends, Jasmin and Alec. They were given glossy brochures which The Doctor read in a few seconds and then sat looking even less satisfied than before as they were taken through what was going to happen in the next few hours. Wyn and Jasmin both watched the audio-visual presentation with open-mouthed awe. They gaped at the film footage of the interstellar ship that was, they were told, in orbit right now, waiting for the last passengers to board before they began the journey to Talamh Nuadh. They were shown how they would travel in comfort in a spaceship that was like a luxury liner and in four months time they would reach Talamh Nuadh. There then followed pictures of the paradise planet. Waterfalls, lakes, rolling hills, forests. After orientation they were treated to their last meal on Earth. It was a celebration meal and everyone was cheerful and excited. Then Bannerman announced that it was time to go to the shuttle and prepare for their journey to their new life. He led the way with his stewards to show everyone where they were to sit inside the shuttle, which looked not unlike the inside of a decent sized aeroplane. The seatbelts were a little more elaborate than on a plane, having shoulder straps as well as going over the lap. “Simple,” The Doctor pulled back the sleeve of his jacket to reveal what looked like a chunky metal bracelet engraved with that strange, swirling Gallifreyan text and what Wyn knew to be the seal of Rassilon. Wyn touched it apprehensively. It gave out just a very faint tingling as if it had a power source. Wyn looked at him in surprise. For a moment she wasn’t sure if he was serious or not. Then he broke into a grin and she knew he was kidding. She laughed, too, before they were disrupted by a ding-dong sound that clearly presaged an announcement. The Doctor didn’t reply. It was difficult to talk for a while as the shuttle took off. As he had noted, it had vertical take off. And it must have had some kind of inertial dampeners, because the speed it reached in only a few seconds should have left them all as bone-crushed jelly. But there was a pressure that pushed them back into their seats and made it hard to move. The pressure eased as the ship left the atmosphere, and the acceleration was replaced by the wonderful sensation of weightlessness for a few seconds before the artificial gravity kicked in. “If this ship WAS built by Humans it was with non-human technology,” The Doctor said. But Wyn wasn’t too interested at the moment. She was too busy being sick into the sturdy bag provided for that purpose. “I’ll just be over there,” he said, unfastening his seat belt and stepping out into the aisle. He could see Bannerman sitting on the very front row near the door to the cockpit. He walked up to him and sat down unannounced beside him. “Torchwood?” Bannerman’s face when he uttered that word was a picture. It seemed to go through about eight different colours from pale white to bright red, to purple. Bannerman told him. The Doctor frowned. The name meant nothing to him. He knew five billion languages and twice as many species. This one was new to him. That was worrying. He went back to his seat. Wyn wasn’t sick any more now the effects of the take-off had worn off. She was talking to Jasmin, who was happy and excited about the future. He touched the time ring thoughtfully. He nodded. That actually did make better sense. “Yes,” he said. For a while he had thought it WAS going to be all right, but now he knew, with absolute certainty, that it was not. The “philanthropic” bit clinched it for him. He looked at Jasmin and Alec and thought about Emotional Detachment. It was one of his classes centuries ago when he was a student. He got top marks, but even he wondered sometimes if he cheated. Everyone who knew him assumed he did, because in practice he was anything but detached. That’s why he did these things - because he cared. But even if he tried, he couldn’t be emotionally detached once he knew the names. It was true of him as much as it was true of anyone anywhere in the universe who had a conscience. It was like knowing that 1,518 people died on the Titanic. A simple statement of fact. You can deal with it unemotionally. But then somebody tells you about Miss Helen Lorraine Allison, the little girl who was the only child in first class to drown. You see a picture of her. And it becomes more than a statistic. It tugs at the heartstrings. You are emotionally involved. 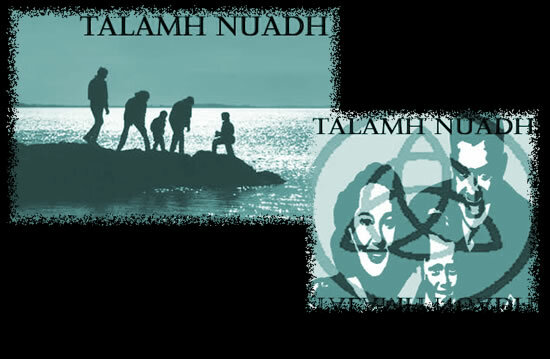 Three thousand passengers on their way to a new life on Talamh Nuadh – or to disaster and betrayal? The Doctor knew that two of them were called Jasmin and Alec, and they were so much in love they were prepared to go to a new planet together. And he couldn’t be emotionally detached, even if he wanted to be. He didn’t want to be. He might have got the top marks in the theory, but in practice being emotionally attached was what kept him trying his best for the sake of the innocents who would suffer if he didn’t. Jasmin and Alec, and Wyn, who was there because she was with him, and three thousand strangers whose names he didn’t know, and even Bannerman, who was innocent of everything but blind stupidity. The quietly murmuring voices suddenly became loud and excited as they saw the starship. The Doctor found the Titanic reference coming back to his mind. The people going out in the tenders to board that great ship probably felt the same way. It was an understandable emotion. But not one he could share. Quite apart from the fact that big spaceships were nothing new to him, he was too apprehensive about what lay on board. A tractor beam guided them into the hangar bay. The excitement grew among the passengers. Even Bannerman himself looked animated. 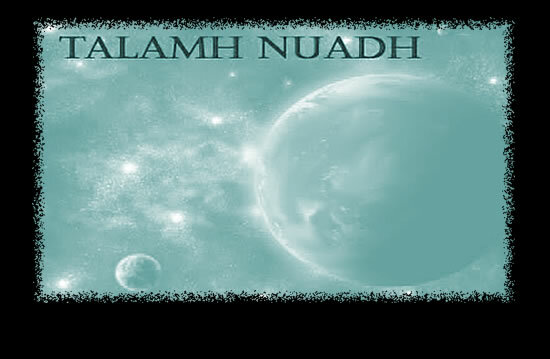 As the shuttle craft stopped he stood up and addressed them all, welcoming them to the second stage of their journey to Talamh Nuadh. Then he ordered the crew to open the doors and he led them out. People scrambled hurriedly to get their hand luggage and follow. The Doctor took his time. He and Wyn were among the last to leave the shuttle. Jasmin and Alec were just in front of them as they stepped out into the hangar bay. “Welcome, my friends,” a voice said. And Bannerman went forward with his hand outstretched in friendship as the crowd gasped in awestruck wonder to see their first extra-terrestrial. The idea that another race would be at their service – serving them – while they travelled to their destination appealed to something not entirely pleasant in Human nature. The Doctor noted their thought patterns. The idea of being superior to something or somebody was too satisfying to them. It was what made slavery a fact of Human society for so many centuries. And now Humans were told they had an alien species at their beck and call. Or did they? The Doctor was still not convinced that everything was on the level. He looked at the Dagron captain. He was humanoid, about seven feet tall, thin, with skin, hair and eye colour a sort of burnt orange. He smiled as if it was something his facial muscles didn’t usually do. The would-be passengers followed Bannerman, chattering among themselves, staring at the Dagrons who flanked them as they moved along. The Doctor noted how many of them there were, far more than he thought were needed. But there was nothing much in their bland expressions to suggest they were anything but crew members greeting new passengers. But the room they were led into was NOT a ballroom. The first to enter hesitated, but the ones behind pushed them on. Only when people began to scream and cry did some of them try to turn back. And it was at that point that the Dagrons showed their fangs. Literally. The bland faces turned to long-toothed snarls and they reached inside their robes to brandish weapons nobody wanted to argue with. The Doctor allowed himself and Wyn to be herded into the huge room where already nearly three thousand Humans were being kept as silent, miserable prisoners. His eyes took in the fact that they WERE all alive. He noted the force field ‘bars’ that shimmered as they separated groups of a hundred or so into manageable sections. Cattle pens! The Doctor thought at once. And he had seen enough for now. He reached for Wyn and for the one other hand nearest to him and pressed them both against the Time Ring as he triggered it. He heard Wyn and Jasmin both scream. The reason he rarely travelled by Time Ring was that it DID make you feel utterly disorientated. The sensation of spinning around in the time vortex utterly without protection was off-putting even for a Time Lord. For two young Humans it was terrifying. When they materialised in the TARDIS, even he had to grab the console and steady himself for a few minutes. When he had made sure all his internal body parts were still internal and still in the right places, he turned to look at the two girls. Wyn was looking very green and trying not to be sick again. Jasmin was crying too much even to realise how strange her new surroundings were. “They eat PEOPLE!” Wyn was too stunned to do more than squeal softly. Jasmin’s hysteria turned up an extra notch. The Doctor found himself hugging her tightly, trying to comfort her. But there was only one comfort he could give. Wyn wondered why it was that the TARDIS could overshoot a target by a million light years and hundreds of years one day and land on a postage stamp the next. But she had to admire the way he materialised exactly where they had been standing when he activated the Time Ring. And she was even more impressed when she found the console room full of people. It had materialised AROUND most of the passengers from the last shuttle and a handful of those who had gone out the night before. And Xzortel, the Dagron captain. The Humans figured out remarkably quickly that the equally alien ship they were in now was actually a RESCUE ship and that THEY now had a hostage. Xzortel backed away from people with the unmistakeable look of a lynch mob. So did Bannerman as some of them turned on him and accused him of double-crossing them. The Doctor ignored his protests as he grabbed Xzortel. “Wait, back off,” he commanded. “I know how you feel, but I need this one alive to tell us how to put a stop to this.” He looked around at Wyn and at Jasmin who was still looking frantic. Alec had not been among those safely brought on board the TARDIS. He had been unable to determine who would be within the area of the materialisation. “I didn’t know we HAD a guest lounge,” she said. But she did as he said. Jasmin was still upset but she rose to the occasion, finding solace in doing something to help the others. She helped Wyn to guide the angry, confused and distressed people out of the console room. “Ok, that’s better,” The Doctor said. “Now we can get down to business.” The Dagron captain suddenly found himself slammed down on the grating floor of the TARDIS. Bannerman opened his mouth in surprised exclamation. He had not expected that kind of strength from somebody as physically unprepossessing as The Doctor. He certainly didn’t look capable of body slamming a creature at least a foot taller than he was. But he did. “Am I right?” he asked, pulling his sonic screwdriver from his pocket and aiming it at the Dagron captain’s head. “This was an elaborate ruse to collect a food supply.” He had never thought the sonic screwdriver looked like a weapon. And it wasn’t, although the welding mode was capable of slicing through flesh quite effectively if he was that way inclined. But the Dagron obviously thought it was. Clearly captured and without any of his crew to assist him he crumbled. “What’s that noise?” Wyn asked as she came back into the console room, Jasmin following her, reluctant to be parted from the one friendly face she knew. “Are you sure about that?” Bannerman asked. “Absolutely,” The Doctor told him. “But the noise is rather annoying and we can’t get to the rest of the prisoners while they’re out there, so let’s see what we can do about it.” He adjusted the setting of the sonic screwdriver and aimed it again at the Dagron. It was simply a body scanner. He was looking for a weakness in the species that he might use to fight them. To his surprise, he found one. He didn’t even realise what it was at first that made the Dagron cringe and scream in agony as he passed the harmless scanner over it. Then it dawned on him. He tried not to look too pleased as he realised it was the SOUND of the sonic screwdriver that was hurting the creature. But his grin as he bounded to the console and began feverishly programming the TARDIS to broadcast the same sound was unmistakeable. It caused them pain, he reasoned as he activated the sound emitter. But it wouldn’t kill. He was giving them a taste of what it was to mess with the favourite planet of a Time Lord, but he was letting them live to tell the tale. He was satisfied by that. He didn’t like taking life if he could help it. The amplified noise of a sonic screwdriver was pretty excruciating to Human ears, too. But it did not incapacitate them the way it did the Dagrons. The Doctor opened the door and stepped out, striding over the writhing forms of the guards outside. “In there if you want to live,” The Doctor said to the Humans who looked back at him with something like hope that he was there to help them. Those not barred by force fields ran for it at once while The Doctor went to deal with those force fields. It wasn’t a difficult job. Another one of the sonic screwdriver’s settings easily knocked out the laser eyes on the walls. But it was a slow job. Three thousand people, in pens of a hundred at a time. At least it meant they weren’t all piling into the TARDIS at once. Wyn and Jasmin, and Bannerman if he had decided which side he was on, could organise them in batches into the ‘guest lounge’. Wyn had been right when she said they didn’t have a guest lounge. At least she did at that moment. But the TARDIS was capable of some clever readjustments when it suited it. He had asked it to create a room he could put three thousand people in, and it did. It would take its toll on the engines, maintaining an in potentia room of that size, but it wouldn’t be for long. The last group were a long way from the TARDIS. They looked at him anxiously as he worked, like they were waiting to get into the last lifeboat. The Titanic analogy drifted into his mind again. But this time there WERE enough lifeboats. He wasn’t going to leave anyone behind. They looked at the box they had seen everyone else run into and they didn’t understand how two thousand, nine hundred people had gone in there already, but they believed it was a safer place than the one they were in now. They ran for it. The Doctor looked around the room. They were the last Humans. All that was left was writhing Dagrons, unable to help themselves. He turned and ran after them, scooping up a little girl whose mother was struggling with a smaller child in her arms. “What’s your name?” he asked as he ran. “Helen,” she said. He smiled. The name of the only first class child lost on the Titanic. A fine irony. But this child would not be lost. He was going to get them ALL to safety. They were nearly there. Only twenty or so people still trying to get through the bottleneck of the TARDIS doors. Even with both open no more than two or three people could get in at once. Suddenly the sonic wave that was disabling the Dagrons stopped. One of them recovered faster than he might have hoped, grabbing its weapon and firing at the exposed and unarmed crowd. A young man with an E.T. sweatshirt was enveloped in the beam and fell. The Doctor’s hearts sank. He had failed to rescue them all. And he and the woman and the two children were cut off from the TARDIS by the Dagron guards. “Eat raygun!” Somebody shouted and a burst of photon fire enveloped the guard that had killed the young man. The people were fighting back, grabbing up weapons from out of the hands of those Dagrons who were less quick to respond than their comrades. The battle was swift. The Dagrons were killed. So were four more Humans. But the way was clear for the rest to get into the safety of the TARDIS. “Who switched off the sound?” The Doctor demanded angrily as he shut the door. “I’m sorry,” Jasmin said. “It was us – It was an accident.” She clung to Alec’s hand as they explained, apologetically, that they had been so busy hugging each other that they didn’t realise how close they were to the console. The Doctor looked at them and knew he would NEVER tell them that their clumsy reunion cuddle had indirectly caused the death of five innocent people. He put the little girl down and let her run to her mother, and went and placed his hands on the shoulders of the two young lovers. “I’m glad you’re both ok,” he said. Then he turned and looked for the Dagron captain who was being restrained by Bannerman and one of his stewards. “You will be returning to your planet and never coming near this solar system again,” he said to him. “This is not a puny, defenceless planet full of gullible livestock. You know that well enough. You used Bannerman’s knowledge of its technology to cloak your ship and work in secret. Bannerman will, before he does a lot of time in jail for his stupidity, tell the relevant authorities about YOUR technology. I don’t like the fact that even the tiny island of Britain is capable of blowing you out of the sky. But if you come back I won’t stand in their way when they do so.” Then he took the Dagron by the scruff of his neck, even though he still didn’t look strong enough to do so. He threw him out of the TARDIS and closed the door again. Moments later he was setting the co-ordinates to return them to Earth. But that was far from the end of his problems. He had NEVER piloted the TARDIS with this many people on board. The flight felt different - dangerously different. He glanced at Wyn as he wrestled with the controls. She, too, had realised there was a problem. Wyn was looking at the viewscreen anxiously. They were coming in far too fast. She had experienced fast landings before, of course. The Doctor – the Ninth Doctor – had scared the life out of her by taking the TARDIS in towards Earth like it was a roller coaster ride. But he had been in control and he did it for fun. This time it was for real. They WERE crash landing. They clung to one of the coral-shaped pillars that supported the TARDIS roof, though their hands entwined even then. Definitely love, The Doctor thought with a smile in the fraction of a moment he had before the TARDIS materialised in mid-air just above Bannerman’s stately home. There was a crunch they could hear inside the TARDIS as they destroyed an eighteenth century chimney stack and slid down the roof smashing the tiles. Finally, with only ten feet or so before impact with the ground he got full control and brought them into a relatively smooth landing on the gravel where the shuttle had been parked. He looked around and saw that, although shaken, and a little green looking in Wyn’s case, this being her third rough ride in one night, nobody was hurt. Looking after three thousand weary, confused, angry and betrayed people until the authorities arrived was not, The Doctor decided, his job. He let Bannerman’s staff find places for them to sit and provide them with food and drink. Bannerman himself stood on the gravel in the grey light of a drizzly dawn, his mood matching the weather. His grand dream was over. He had been misled and had himself misled so many people. He was the one who would be blamed for the five deaths. He blamed himself anyway. He looked around at The Doctor, at his own people who were no longer taking orders from him, at the house he knew was not going to be his home for a long time. Nobody was restraining him right now. He was nobody’s prisoner. But he was not going to attempt to escape. He knew he deserved what was coming to him. The Doctor knew Bannerman was blaming himself. He couldn’t change that. It WAS his fault, for letting himself be used by the Dagrons, for involving these innocent people in his scheme. But he couldn’t help feeling the grief for those five deaths himself. He knew there was nothing he could have done. In his lifetime he had fought so many battles where innocents had died. This was one more. Five more scars on his soul that went against the thousands he had saved. And he ought to be used to it by now. Except if he ever WAS used to death, and not moved by it, it would be because he was dead himself. Funny, he thought, of the whole lot of them, they were the only ones who HAD personally thanked him. And for a moment he reflected that in his lifetime very few people ever HAD. Then he pushed the thought away and smiled at them. “Would you like a lift home?” he asked.